A new #Electronics_Scams list for June 2017 | NoScams Scam Advisor! Here is a list of a few scams that people posted to me (thank you!) and a few that I found via searches. 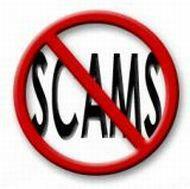 Take care, the scamming will not stop as long as people feed them with money! Brand electronics and tempting prices makes me hit delete instantly. Most likely a scam. OMG!!! I just made a transaction with an agent of ‘alit-export’ via western union. And I was sent a shipment ID for the goods. Please are you sure they are scammers? I am afraid I am not wrong about them. What did you buy? Important, they may ask you for more money for whatever reason – do not send more money! did you receive the items from alit-export? i am dealing with sz-mobileshop right now and almost going to pay the payment via western union. may i asked you, are you sure the sz mobileshop,leibzi is one of them?can u survey for other supplier below. What is thgeir website? The name sounds familiar to me, that is not a good sign.